Why spend valuable time horsing around with router bit height adjustments when you can have them set-up and running in just seconds! Kwik Blocks are pre-cut profiles that allow you to quickly determine the proper height setting on MLCS router bits. No more trial and error cuts, wasted material, or tedious micro-adjustments. 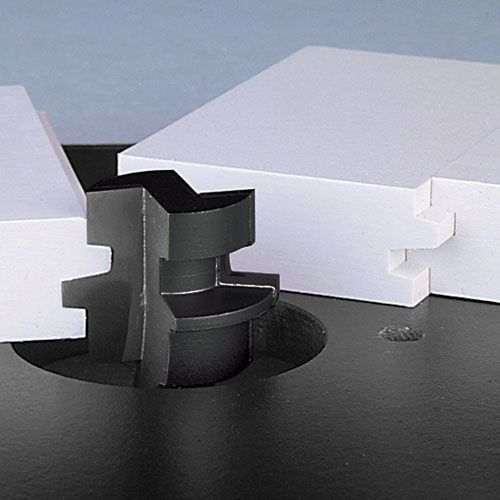 Simply rest a Kwik Block flat on your router table top surface and adjust height of cutter until it properly mates the profile of the Kwik Block. Your bit is now at its proper height setting. It's that easy! Each piece measures 3" long x 2" wide x 3/4" thick and is made from durable polyethelyne material that will not distort or swell. Intended for use with MLCS brand router bits (listed below) when routing 3/4" thick material.